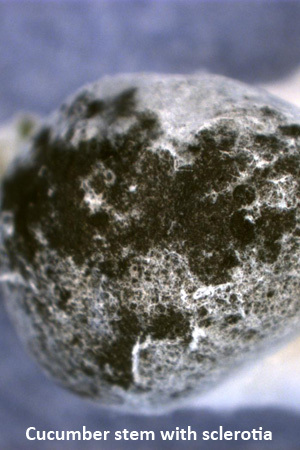 The Plant Pathology Laboratory at the Alaska Plant Materials Center provides diagnostic services and disease management support to the PMC and the Division of Agriculture. Information is gathered on disease resistance and management during variety trials. We also perform outreach to growers around the state, including disease surveys, diagnostics, and management recommendations. Current projects include work on pathogens of apple, asparagus, garlic, onion, native grasses, peony and potato. We also conduct pathogen testing for tissue culture plantlets and field materials. 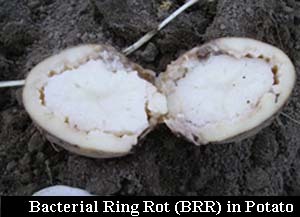 This includes testing for multiple potato viruses, as well as bacterial ringrot (Clavibacter michiganensis subsp. sepedonicus). Our lab procedures include culturing of bacteria and fungi, microscopic examination, serological assays (antibody-based testing) and nucleic-acid based testing. Plants are affected by disease in many ways, including: reductions in yield, quality, aesthetics, marketability and longevity. 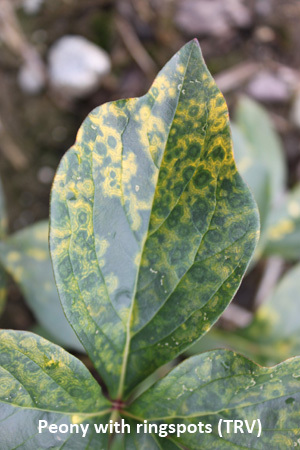 Disease may be caused by bacteria, fungi, oomycetes, nematodes, parasitic plants, viruses and abiotic factors such as nutrient stress or environmental conditions. 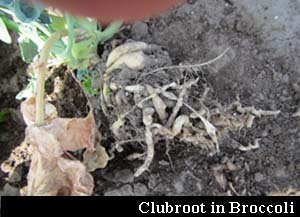 Some disease-causing organisms are transmissible through seed or other propagative material. 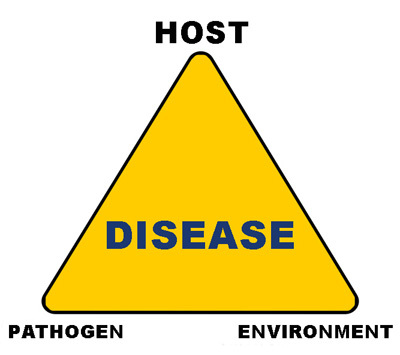 Disease is often thought of as a triangle consisting of a susceptible host, virulent pathogen and favorable environment. Inclusion of a time element creates a pyramid. Changing any of these factors influences disease development and how much damage occurs.